Episode Description: On this episode of The Batman vs James Bond Show, Brian is back with lots of exciting news and entertainment. 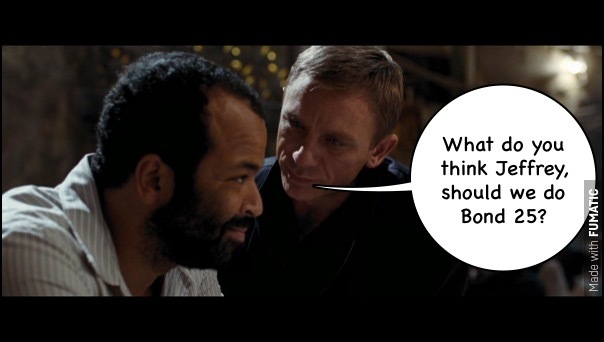 This week Brian breaks down the rumors of Daniel Craig being persuaded to return for Bond 25; Jeffrey Wright teases on social media that Felix Leiter could return for Bond 25; MGM is being sued for not releasing “all” Bond movies in a box set; Gemma Arterton on why she wasn’t happy with her performance as a Bond girl; Justice League villain updates; Arnold Schwarzenegger wants to be in another Batman movie; Heath Ledger Documentary trailer breakdown; this week’s birthday’s, and much much more. Plus, your social media questions answered, and an announcement of what’s to come for the month of May.